It's been a while since I had such a fulfilling dinner. Last night, I was invited to an amazing private dining experience at Cute Ball Kitchen with the boyfriend, Ittify influencers & staff members by Local Usher & Ittify. Cute Ball Kitchen is founded by a Chinese-Vietnamese couple and named after the nickname they gave their 4 year old son. Cute Ball Kitchen invites you to their humble home in Paramount View Condominium for an authentic homemade Southern & Nothern Vietnamese dining experience that you wouldn't want to miss. Only open on Saturdays' from 7pm - 9pm, reservations are required to be made beforehand. 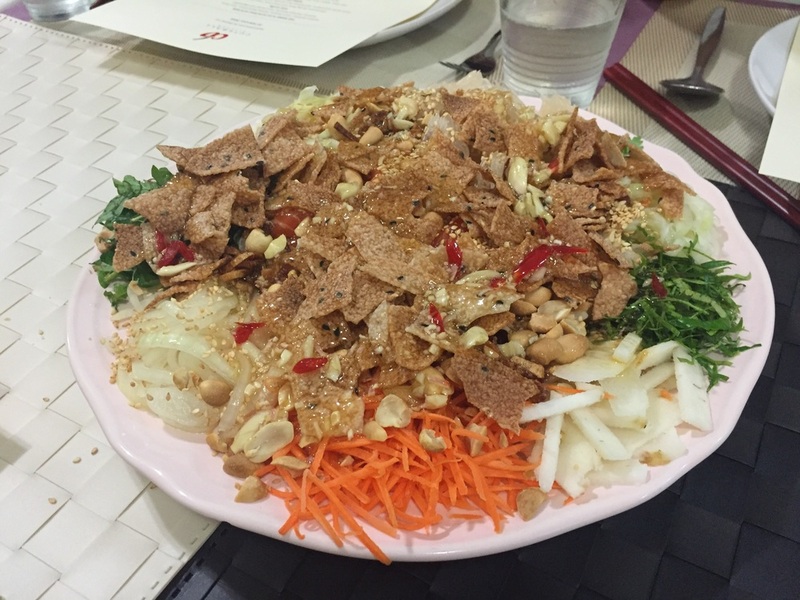 A Vietnamese version of the Chinese Yee Sang. I don't usually eat Yee Sang but this was worth the taste. At first sight, I thought it would be quite a boring & tasteless dish but it came out to be one of my favorite dishes last night. The combination of vegetables they used made the dish so refreshing and unexpectedly flavorful. This made me want more of it but too bad they only prepared one each for everyone at the table. Sticky Vietnamese rice cake laced with prawn floss, crispy lard & spring onions on top. Stir fried beef slices with a unique species of Jasmine buds that are widely found in Vietnam. 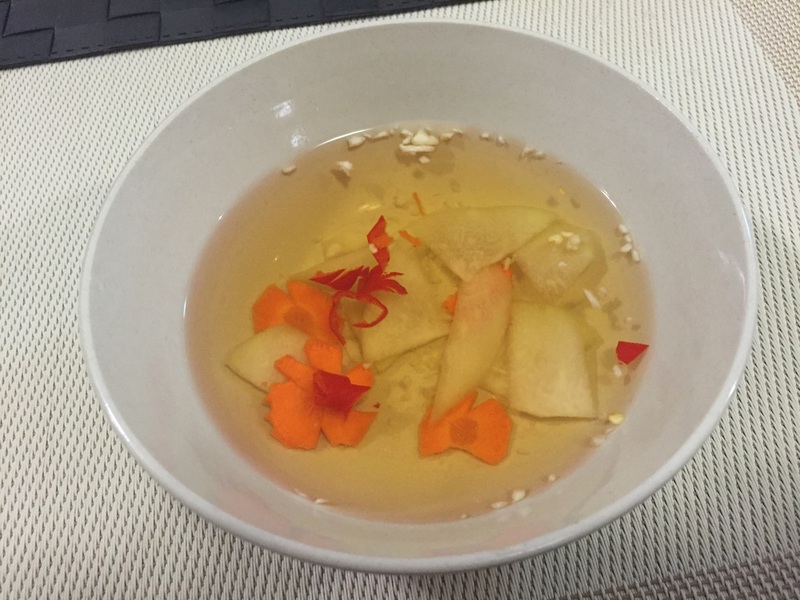 The Jasmine buds had a whole new taste & texture to it that took everyone a while to process. Nevertheless, it was delicious! Tiger prawns poached in concentrated coconut juice was absolutely mouthwatering. They got their prawns fresh from the tank from Unique Seafood. The prawns were so fresh & juicy and it went perfectly well with the coconut juice dipping. This dish was kind of like Korean BBQ but different in a sense that you are supposed to dump the lettuce, pork & noodles into the dipping sauce to savor. I personally didn't like the dipping sauce so I ate it the Korean BBQ way. Wrap the noodles & pork in the lettuce and you're good to go! Dessert was a French chocolate/tiramisu-like cake that was perfect to satisfy my sweet tooth. 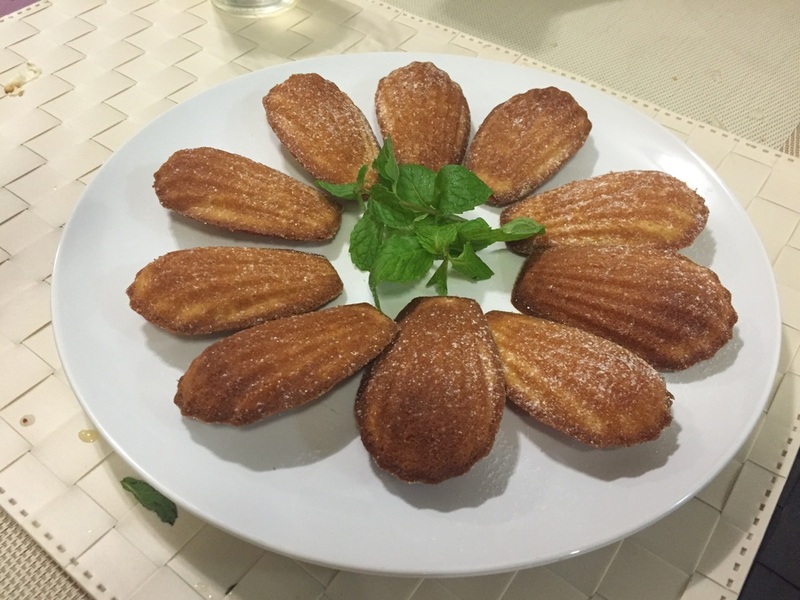 Homemade madeleines that Redza and I was having fun munching on. Overall, it was an amazing dining experience. I've never been a big fan of Vietnamese food because I had this perception that it was tasteless & boring but this dining experience completely changed my mind. Big thanks to Local Usher, Ittify & Cute Ball Kitchen! Follow Cute Ball Kitchen on their Facebook page for more updates & for more unique experiences, be sure to check Local Usher out!